Florham Park, NJ – Two weeks remain in the 2018 NFL season and normally at this point, the Jets are playing meaningless games. Meanwhile, fans are embracing the tank and looking at scouting reports of players in the NCAA. The Jets have already been eliminated from playoff contention with a record of 4-10; however this year’s tank is different from previous year’s for a few different reasons. Since returning from injury, Sam Darnold looks like a totally new player. This kid looks so poised and loose behind the offensive line, as if he has 100 games under his belt. We all hoped he would learn from observing Josh McCown and now he looks fresh, relaxed and recharged. 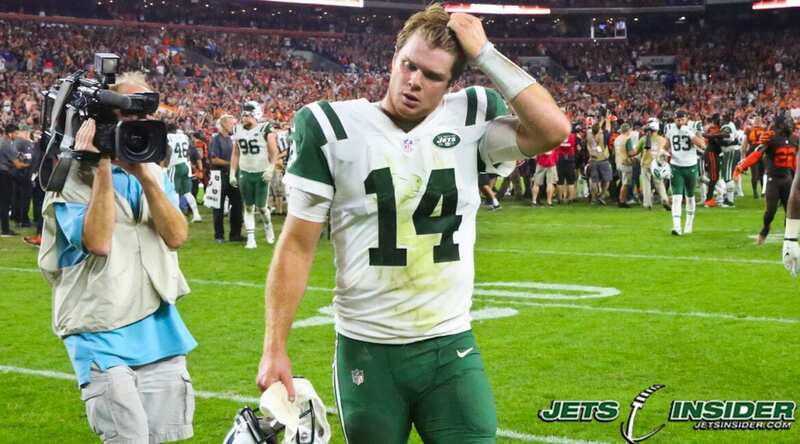 In his two games back, Darnold has completed 40 of his 62 passes and has racked up 423 passing yards along with three touchdowns and one interception. In the last game against the Houston Texans, we saw Darnold throwing dimes on the run, scrambling out of the pocket and taking advantage of open space by running with the ball, even faking out defenders with jukes. His performance earned him to be graded as the NFL’s top quarterback in week 15. It’s a relief to see such drastic improvement before his rookie season ends. The reason Darnold is part of the ideal tank is because he is the future of this franchise. Before the season ends, you want him to improve, make better decisions and start showing signs of maturity. Obviously, he has shown that over the past two weeks and for the next two games, it will be beneficial for him to compete at the same level. The rhetorical question remains, “If Darnold continues to play well, doesn’t that mean the team has less of a chance to lose their last two games and ruin the tank?”… Not necessarily! That’s where the second half of the equation comes in; let the third and fourth stringers see more playing time. Give guys on the offensive side of the ball like Deontay Burnett, Ben Braden and De’Angelo Henderson, among others, more reps to get them experience. It’s time to see if there is any potential for them to move up with the impending $100 million exit of salaries. The consequences of a failed block or dropped pass aren’t severe anymore since the team will not be playing after December. On the defensive side of the ball, guys like Folorunso Fatukasi and Bronson Kaufusi have yet to even play a single down this season. The Jets need to see what they have in these depth players. This doesn’t mean that the Jets should give their starters a vacation. Let them play first and if the game gets out of hand bring the bench warmers in. The hardest part about the ideal tank is to lose games, but not get blown out. Saturday’s game against the Texans was the ideal tank game. Darnold had the best game of his NFL career and led his team to score 22 points against a strong defensive playoff team that is not only eyeing their division’s top spot but a first round bye in the playoffs. The Jets notched a season high six sacks in that game and for the most part, kept DeShaun Watson contained. Although there were a few long gains in the air due to poor coverage from the secondary, overall the team played well and looked like they wanted to win. The Jets were playing catch up the whole game until the last five minutes when they were able to jump ahead by three points. The offense left the Texans with too much time on the clock and the defense was too tired to stop the Texans from finding the end zone on the ensuing drive. This gave the Texans a four-point lead and forced the Jets with little time remaining, to try and get a touchdown. In the end, it was valiant effort, losing by seven points to a high caliber playoff team. Because the team held their heads high and the rookie QB progressed, it made it the ideal tank. Let’s not forget the Jets will have $100 million dollars in cap space this off season and there are some big names on the market. Losing these games helped get the Jets closer to the first pick of the draft and at the same time showed commitment so that potential suitors will not be turned away. Blowout losses make it look like everyone and everything on the team needs to be changed which may include players and coaches. Gang Green might be searching for a new coach on December 31st and the roster could see new players that would entice the likes of Mike McCarthy, Matt LaFleur or John Harbaugh. Essentially, Mike Maccagnan might be offering a blank check to a coach to go out and acquire what they think the team needs. It would be beneficial for that coach to at least have some materials to work once he is hired. If Sam Darnold keeps his recent performance up until January, it could be a nice selling point for a premier coach to take the helm next year. What also helps with the ideal tank is saving face by playing some of best teams in the NFL. 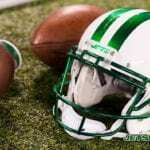 The Jets face the Green Bay Packers this week at MetLife and then the New England Patriots at Gillette. The Packers are 5-8-1 and 0-7 on the road. A loss on some Sunday may not appear imminent, but there is a first time for everything Jets fans. Both teams haven’t met in four years and have different rosters and coaches now. Who knows what will happen? For the Jet’s sake, Darnold will need play well to keep up with Aaron Rodgers. Against the Patriots, New England faces the possibility of playing in the wild card round for the first time since 2009. Rest assured Jet fans, they don’t want that to happen and will play as if their lives depended on it. In the spirit of the upcoming holiday season….Happy Tanking To All And To All A Good Night!! !